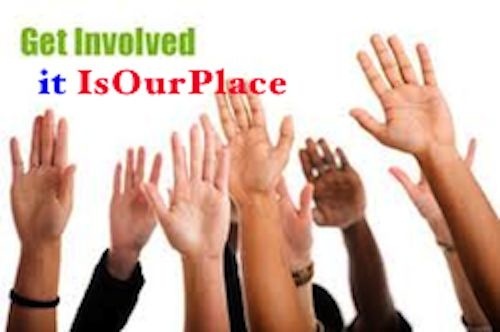 Where IsOurPlace? Who Are We ? Ballynagran lies in the heart of County Wicklow the ‘Garden of Ireland'. It has a wealth of outstanding gardens and woodlands such as Deputy’s Pass, Mount Usher Gardens and Kilmacurragh Gardens and Arboreteum within its vicinity. The focus will be on energy consumption in buildings, transportation and food production. 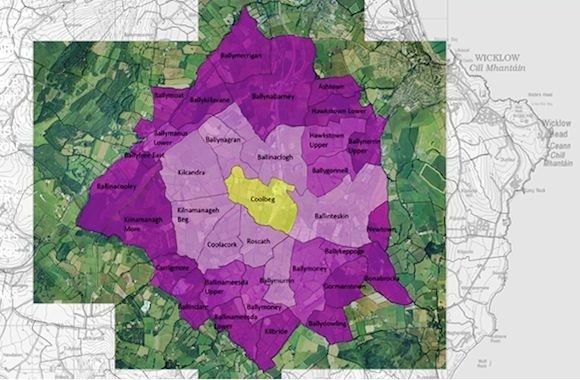 Included within the Ballynagran Community Energy Plus Project are the Townlands that are within 3km of the area and this 'greater' area includes approximately 600 homes. Many of the homes are located in the village of Glenealy on the western edge of the community. The overall mission of this project is to dramatically reduce the energy use of this rural community and eventually to create an energy independent region. An area comprising approximately 3500 hectares is included in this project. Ashtown, Ballinaclogh, Ballinacooley,Ballinameesda Lower, Ballinameesda Upper, Ballinclare, Ballinteskin, Ballydowling, Ballyfree East, Ballygonnell, Ballykeppoge, Ballykillavane, Ballymanus Lower, Ballymerrigan, Ballymoat, Ballymoney, Ballymurrin Lower, Ballymurrin Upper, Ballynabarny, Ballynagran, Ballynerrin Upper, Bonabrocka, Carrigmore, Coolacork, Gormanstown, Hawkstown Lower, Hawkstown Upper, Kilbride, Kilcandra, Kilnamanagh Beg, Kilnamanagh More, Newtown, Roscath. This project is intended to provide stimulus for the Ballynagran energy plus area through the following benefits for the local community. 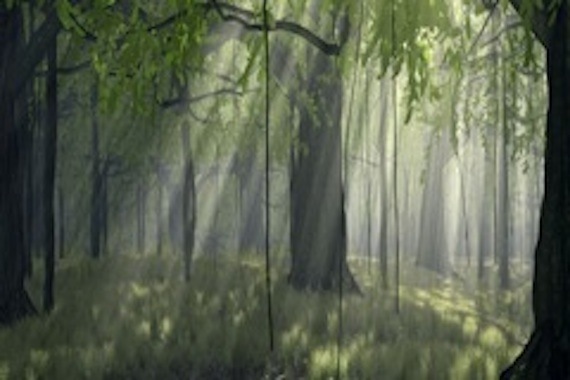 Environment – establishing an energy plus community to create a more sustainable environment. Employment – two persons currently unemployed will be hired to carry out much of the energy audits proposed. Health – Wicklow is a high risk radon region, and the measurement of radon will identify where remedial measures are required. Educational – a database detailing the energy use of all houses will provide a valuable research resource. Image and Reputation – and energy plus community will draw both national and international interest to this region. Financial - We believe that over time the investments made in sustainable energy projects will more than pay for themselves and will be of financial benefit to the Community. Supporting the continued retro-fitting of houses - solid fuel perhaps! 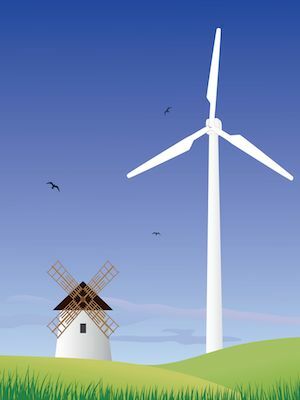 Potential for wind turbine identified. 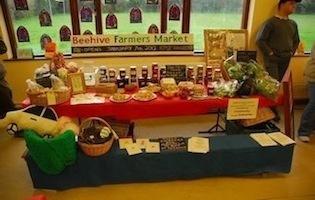 Established in March 2011 at the Beehive, the centre of the Ballynagran Energy Plus Community District. Operated in line with the country market model which gives local micro producers the option of selling their produce on a commission basis. Open during Spring, Summer and Autumn on Saturday Mornings. It is a hub for social interaction and trade in the community. A venue for local people to engage in entrepreneurship and commerce encouraging the development of local business and trade and an ideal location to showcase local artisan producers. Plans to offer local schools the opportunity to sell produce at the market. Transition year students business module studies - real experience. It is an amenity for the people of Wicklow and benefits the community. The most fundamental element of Zero CO2e Living. 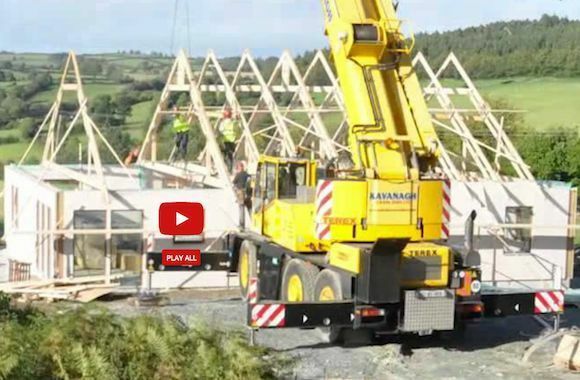 Could the local community possibly benefit from Wicklow's most abundant resource ? Dovetails with other Ballynagran Energy⁺ Projects. Sharing of materials & machinery. Tomas O'Leary, a local resident, is one of main architects of the Ballynagran Energy Plus Community. Tomas's home was the first certified Passive House built in the English Speaking World. Tomas is a partner in one of Irelands leading environmental design practices MosArt. The practice comprises Passive House Experts, Architects, Landscape Architects and Urban Designers. Tomas has produced many instructional videos on energy conservation and on 21st century building technology and practices. Interreg This project could not have got off the ground without the assistance European Regional Development Funding - Interreg IVD North West Europe . Zecos is the name of the overall European Project in which Ballynagran, along with 7 other NW Europe Communities, is participating. 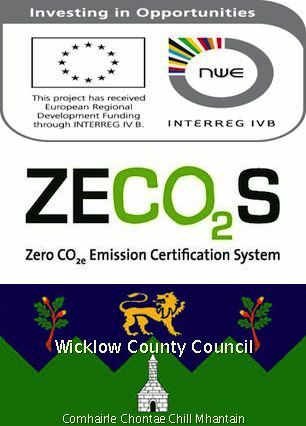 Zecos stands for a Zero CO2e Emission Certification System and the Ballynagran Project is a vital part of the research in developing this Emission Certification System. Wicklow County Council is the leading local authority in Ireland with regard to Environmental Awareness, Education and Research and their Community, Culture and Social Development Department has been particularly helpful to this project. They have also administered additional funding through Ballynagran Environmental Community Projects and Works Grant Scheme (BECWGS). How local funding has helped this Project. 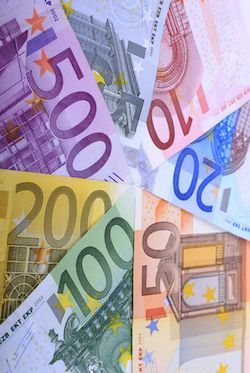 Funding has been secured from Wicklow County Council in association with Greenstar Ballynagran Landfill Community Fund for the first phase of the project. This involves completing an energy audit of every participating home in the study area, retrofitting the local primary school with Passive House Standard materials and an environmental educational programme. The first year's effort will provide a very sound basis for subsequent phases which will see the upgrading of homes and business to significantly reduce their energy consumption. 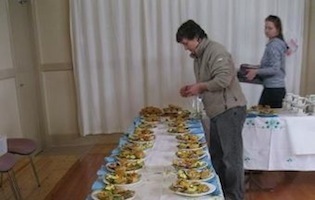 Such works could be done by a Retrofitting Cooperative, owned and operated by the local community, providing sustainable "Green Collar" employment. Studies into the possibility of establishing a Community Forest, a Community Allotment Scheme and a Community Wind Farm are about to begin. The feasibility of establishing community electric-car-charging points and expanding the current walking trails are also being explored. Immediately adjacent to the Ballynagran Energy⁺ Plus community. Provides lifelong learning higher education programmes on a part-time basis in partnership with The Institute of Technology Carlow (IT Carlow). Comprises spacious offices, meeting rooms, as well as a large conference venue, classrooms, a college library and IT rooms. Centre of Excellence for renewable energy technology and design. Read Wicklow County Council's Strategy for the Campus. Wicklow County Council aims to develop Wicklow County Campus as a Centre of Excellence in Enterprise, Education and Innovation in County Wicklow. The Council's objective is that that the campus acts as a catalyst for Economic Development in the County. renewable energy technologies and sustainable design at its core with a parallel emphasis on Passive House construction and zero energy building. Can You Influence How this Project is Implemented? or just click Join Your Community.